Headaches are very common and affect everyone at some point in their life. However, if your headaches are keeping you from enjoying your life, it might be time to get help. Pedro Ortega, MD at Central Florida Primary Care, with offices in Winter Park and the MetroWest community of Orlando, Florida, specializes in the management of headaches. Call today or book an appointment online. A headache is any pain you experience in your head or neck. It’s one of the most common reasons for missed work and visits to the doctor, which is why Dr. Ortega has made it a priority at his practice. Headaches are categorized based on the type of pain you feel and how long you feel it. Tension headaches are the most common type of headache and usually develop from a tightness in your neck, shoulder, jaw, or head muscles. Stress, anxiety, and depression can lead to tension headaches, as can alcohol consumption, missed meals, or a lack of sleep. These types of headaches usually cause a mild to moderate pain that goes away in time. Migraines cause you to feel a pulsing sensation on one side of your head. These types of headaches usually cause symptoms before and after the head pain occurs, and often have a trigger. The pain can last anywhere from three hours to three days. Cluster headaches are rare, but cause a severe burning or piercing pain behind your eye. These headaches also cause the affected eye to droop. They’re called cluster headaches because they tend to occur in groups, where you’ll experience the same pain one to three times a day over a two-week to three-month period. A sinus headache causes pain in your cheekbones, forehead, or nose. These types of headaches usually result from inflammation of your sinus cavity due to a sinus infection. How can I get relief from my headaches? Treatment for headaches depends on the type of headache you’re experiencing. Dr. Ortega will develop an individualized treatment plan to help you get the relief you need. If you have a sinus headache and infection, Dr. Ortega will prescribe an antibiotic. If you have migraines, Dr. Ortega can use a combination of methods to help reduce your discomfort during an attack, as well as treatments to help prevent an attack. 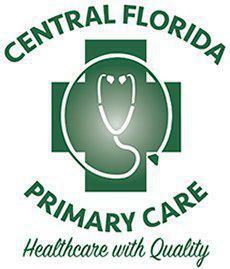 For expert management of your headaches, call Central Florida Primary Care, or book an appointment online.